If you are looking for fiberglass grating Fort McMurray, Fiberman has you covered. Fiberglass Grating is a strong, corrosion resistant alternative to steel or aluminum. FRP Grating and structural shapes can be used in chemical plants, Oil & Gas applications, and waste-water treatment plants where conventional materials will rust. We have both molded and pultruded Fiberglass Grating in stock in Burnaby, BC that we can usually ship to Fort McMurray the next day. FRP Grating can be used to build walkways, platforms, decking, catwalks, and stair treads. We can either ship complete FRP panels on cut the grating to size based on your specifications or drawings. Check out our video on How to Cut FRP. We stock molded grating in 3 x 10, 4 x 8, and 4 x 12 panel sizes in dark grey and yellow. We have 1″, 1.5″ and 2″ Deep panels. The farther apart your supports, the stronger and thicker grating will be required. Take a look at our Grating Select Chart to see the various profiles we offer or call toll free 1.844.599.0260 and we will help you select the best grating for your application. 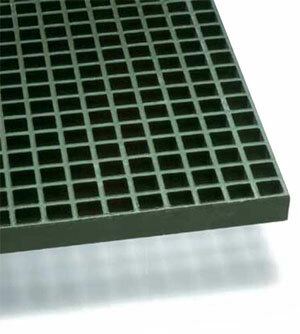 One of our most popular profiles of pultruded grating is T-5000 2″ Thick. T-5000 will span 5 feet with a 300 pound concentrated load with only 0.18″ deflection. For a complete load table click on: T-5000 Fiberglass Grating load table. Or ask us to email you a load table for any of our profiles. In Addition to Fiberglass grating, we also stock FRP Structural shapes such as Equal Leg Angle, Square Tube, C-Channel, and I-Beam. We also provide FRP railing and Ladders, FRP Plate (Flat Sheet) Threaded Rod, Round Pipe, and Safety Spray Shields. We also have an in-house logistics department, and provide competitive freight rates on all of our shipments. Call us at 1.844.599.0260 for a landed cost on your next fiberglass grating shipment to Fort McMurray. Fiberman’s headquarters in Western Canada stocks Fiberglass Grating ready to ship across British Columbia, Alberta and all provinces in Canada. We have daily shipments from Vancouver to destinations including Edmonton, Calgary and Fort McMurray. For our US customers, we ship from distribution centers in: Pittsburgh, PA; Houston, TX; Knoxville, TN; Rochester, MN; Salt Lake City, Utah; and Orlando, FL. At Fiberman we ship Molded and Pultruded FRP Grating next day to Trail, BC form our FRP Warehouse is in Burnaby, BC just outside of Vancouver. We offer next day shipping to Trail, Castlegar, Nelson, Creston, Kimberly, and Cranbrook for all of our fiberglass grating in stock. For non-stocked FRP items, we can also ship from our suppliers in Virginia, Pittsburgh, or Salt Lake City. We have over 14 years experience supplying Fiberglass Grating and Structural FRP products throughout Canada and the United States. Call us toll free at 844.599.0260 for competitive pricing and real-time inventory confirmation for fiberglass grating, FRP stairs, railing, ladders, and fiberglass decking. You mail also email us at sales@fiberman.ca or request a quote. Call us toll free at 844.599.0260 for a competitive quote. Fiberman’s headquarters in Western Canada stocks Molded Fiberglass Grating ready to ship across British Columbia, Alberta and all provinces in Canada. We have daily shipments from Vancouver to destinations including Edmonton, Calgary and Fort McMurray. Our distribution center is close to Victoria, Nanaimo, Campbell River, Port Alberni, Powell River, Kamloops, Kelowna, Trail, Prince Rupert, Smithers and Prince George. For our US customers, we ship from distribution centers in: Pittsburgh, PA; Houston, TX; Knoxville, TN; Rochester, MN; Salt Lake City, Utah; and Orlando, FL. Stronger than Steel? Fiberman says YES with FRP Beams! Russ is strong. He’s a destroyer. He eats a dozen eggs for breakfast and throws around 350 pound sheets of grating as if they were coat hangers. Here’s a quick video of Russ curling a 20 foot 6″ by 1/4″ wide flange beam. Not just once, but 5 times. Why? Because he’s Russ. 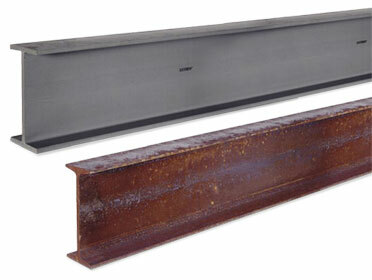 This beam is made of Fiberglass Reinforced Plastic known as FRP. Pound for pound FRP is stronger than steel. This beam ‘only’ weighs 150 lbs. No problem for FIBERMAN! So the FRP Beam Strength to Weight Ratio will give you excellent performance without vulnerability to rust or corrosion, even in the harshest of environments. Call Fiberman at 1.844.599.0260 to learn more about FRP Beams. Fiberman’s headquarters in Western Canada features the best Fiberglass Beam Prices, and we are ready to ship across British Columbia, Alberta and all provinces in Canada. We have daily shipments from Vancouver to destinations including Edmonton, Calgary and Fort McMurray. Our distribution center is close to Victoria, Nanaimo, Campbell River, Port Alberni, Powell River, Kamloops, Kelowna, Trail, Prince Rupert, Smithers and Prince George. For our US customers, we ship from distribution centers in: Pittsburgh, PA; Houston, TX; Knoxville, TN; Rochester, MN; Salt Lake City, Utah; and Orlando, FL. Fiberman’s Fiberglass Beam pricing and service experts are standing by to help to find the best product for your project. With many varieties in stock and expedited shipping, we can supply your project with the Fiberglass Beam prices with fast delivery. In today’s connected world, we depend on cellular telephone signals, Wi-Fi networks and over the air radio and television signals. Wi-Fi and Bluetooth connectivity are essential to on-site work environments. Steel structures significantly disrupt these signals. Fiberglass Beams are an essential part of building structures that are “electronically transparent” and do not interfere with radio frequency transmissions. At Fiberman we have more than 15 years experience supplying Fiberglass Grating and Structural FRP products throughout Canada and the United States. Our FRP Warehouse is located in Burnaby near Vancouver, BC so we can offer next day shipping to most locations in BC including Surrey, Abbotsford, Victoria, Nanaimo, Chilliwack, Kelowna, Vernon, Kamloops, and Prince George. Call us toll free at 844.599.0260 for competitive pricing and real-time inventory confirmation for molded or pultruded FRP grating, stairs, railing, ladders, and fiberglass flooring. Burnaby, Vancouver, Surrey, Abbotsford, Victoria, Nanaimo, Chilliwack, Kelowna, Vernon, Kamloops, and Prince George. Fiberglass Grating is excellent for use in many heavy traffic areas, such as swimming pool decks, pedestrian walkways, or in industrial settings, outdoor walkways on drilling platforms, in WWTP water treatment plants, in livestock facilities and anywhere you require secure and durable walking surfaces. The anti-slip surfaces of this grating is an important safety feature in walkways where moisture is present. Discuss the specific needs of your project with one of Fiberman’s Fiberglass Grating experts. 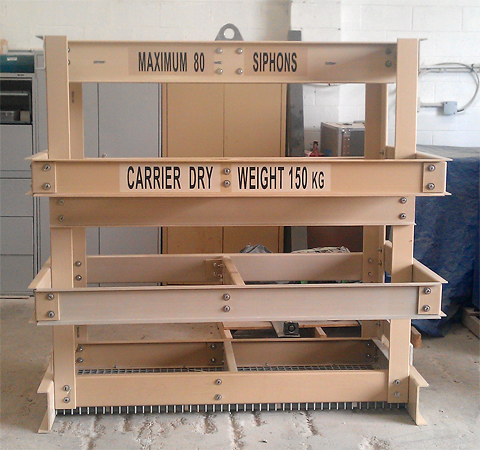 We will ensure that the material you select will have the specifications required for safety and optimum performance. You will also benefit from our industry-leading quick quote turnaround and fast delivery of fiberglass grating in Vancouver BC. For all Fiberglass Grating inquiries, please call 1.844.599.0260 or email sales@fiberman.ca or Request a Quote. Fiberman’s headquarters in Western Canada features the best Fiberglass Molded Grating Prices, and we are ready to ship across British Columbia, Alberta and all provinces in Canada. We have daily shipments from Vancouver to destinations including Edmonton, Calgary and Fort McMurray. Our distribution center is close to Victoria, Nanaimo, Campbell River, Port Alberni, Powell River, Kamloops, Kelowna, Trail, Prince Rupert, Smithers and Prince George. For our US customers, we ship from distribution centers in: Pittsburgh, PA; Houston, TX; Knoxville, TN; Rochester, MN; Salt Lake City, Utah; and Orlando, FL. Fiberman’s Fiberglass Molded Grating pricing and service experts are standing by to help to find the best product for your project. With many varieties in stock and expedited shipping, we can supply your project with the Fiberglass Molded Grating prices with fast delivery. In today’s connected world, we depend on cellular telephone signals, Wi-Fi networks and over the air radio and television signals. Wi-Fi and Bluetooth connectivity are essential to on-site work environments. Steel structures significantly disrupt these signals. Fiberglass Molded Gratings are an essential part of building structures that are “electronically transparent” and do not interfere with radio frequency transmissions.